Same story as my Kaju Katli post. I asked hubby dearest what khara/ namkeen/ spicy snack should I make for Diwali and the reply was Nippattu. Again, I had tried this earlier and it was something I couldn't brag about. Tried it again and presto! it tasted good this time. I did struggle a little initially even this time, but I got the correct advice from multiple people and managed to salvage my nippattu mission. I was not rolling them thin enough and hence they were not cooking properly in the center giving them soft centers and crispy sides. After about 7-10 turning out soft, I took the advice and patted them out evenly and thinner and they turned out nice and crisp. The recipe made close to 40 nippattus. Dry roast the peanuts and peel them. Crush the peanuts into 2-3 pieces, just be careful not to powder it. Mix the rice flour, maida, red chilli powder, butter, chopped curry leaves, coriander leaves, peanuts, roasted gram, hing, cooking soda and salt. Heat 2 tbsp of oil and add to the mix. Take a small ball of dough and place it on a butter paper or any other greased surface and pat it down into a disk using your fingers. The disk should be around 2mm in thickness. Make sure it is evenly thick. Heat the oil in a kadhai for deep frying. After the oil is hot, reduce the stove to medium flame. Deep fry the nippattu on medium flame until they are brown on both sides. Allow it to cool a little to check if they have crisped up. Allow it to cool and then store in an air tight container. 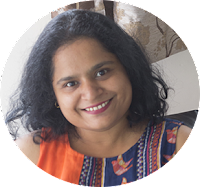 My first milestone in my blogging journey. Ever since I reached the nervous 90's, I started thinking about what my 100th post should be. I asked for suggestions from family, but I was more confused than ever. I wanted it to be something sweet, something influenced by my roots and most of all, something I love. Kadle Bele Payasa has been a favourite since childhood. And to top it, this was a part of the naivedyam (offering) to Lord Ganesha for Ganesh Chaturthi. I made it long back, but held on, on posting it, so I could make it my 100th. So blessed by Lord Ganesha, comes my 100th recipe on this blog for the simple, delicate and delicious Kadle Bele Payasa or Chana Dal Payasam. Kadle Bele Payasa is a South Indian Kheer or pudding made using Chana Dal (Split Bengal Gram) and Rice. The dal and rice are cooked in coconut milk along with cardamom and jaggery. The base of this payasa or kheer is the Chana Dal. The dal needs to be soaked for at least 2-3 hours to make cooking it easier. I pressure cooked it, but you can easily cook it in a deep saucepan. Usually, dal is cooked until it disintegrates and is mushy, but not in this case. The dal should be just cooked. It should still retain its shape and should still have a slight bite to it. The other major ingredient here is the rice. And just like the chana dal, it needs to be just cooked. The rice grains should not be mushy. They should still have a bite to them. Coconut is the soul of South India and also of this Kadle Bele Payasa. The Kadle Bele Payasa gets its creaminess from coconut. You can add coconut milk or finely ground coconut flesh. I sometimes add coconut milk and sometimes the ground coconut. The difference is not in taste, but in texture. Coconut milk gives it smooth creaminess while the ground coconut gives the payasa a coarse texture. Jaggery is unrefined cane sugar. If you don't have access to jaggery, you can add palm sugar or brown sugar or any unrefined sugar. If you are using jaggery, I suggest using the darkest variety you get. Dark jaggery has the least amount of additives it in and has a richer taste. No Indian sweet is complete without ground Cardamom. Just the fragrance of cardamom reminds me of dessert. Dry fruits are totally optional for this Kadle Bele Payasa, but I don't know any dish where the addition of dry fruits has ruined it. Add them just chopped or fry them in ghee like I did. If you are vegan or want to make a vegan dessert, skip the ghee and just lightly toast the dry fruits. I added cashew nuts and raisins, you can add almonds as well. If you are making this for Naivedyam or as an offering to god, refrain from tasting it. Follow the recipe and you should be good. Hold off on the jaggery if you are concerned it being too sweet while offering it in Naivedyam. You can heat a little water and dissolve jaggery in it and mix it to the payasa while eating. 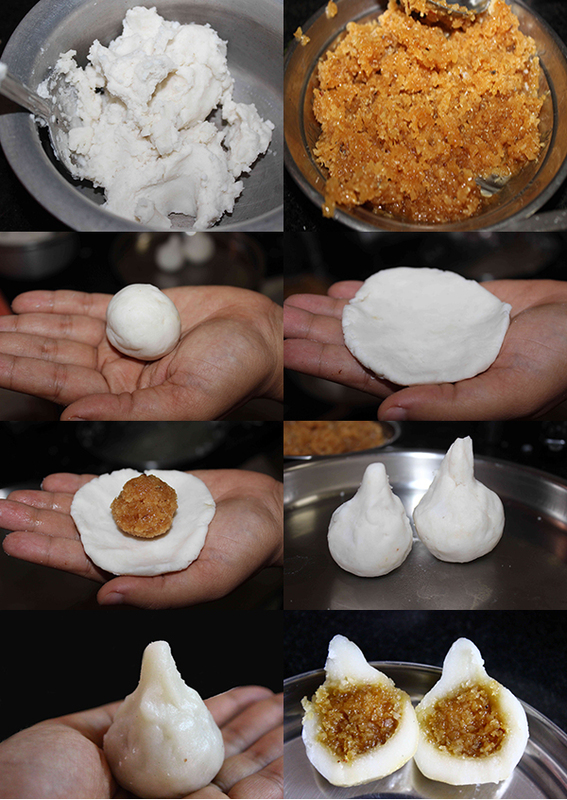 Modak - Modaks are traditional steamed Indian dumpling made from rice flour, coconut and jaggery. Served as an offering to Lord Ganesha in West and South India. Coconut Laddoo - Instant Fudge balls made with coconut and condensed milk. Mavinahannu Seekarne - Maavina Hannu Seekarne or Aamras is a simple traditional dessert made with mango pulp and milk and flavored with cardamom. Kadle Bele Payasa or Chana Dal Payasam is a South Indian kheer or pudding made with rice, lentils and fresh coconut. Soak the kadle bele for 2-3 hours. Pressure cook it with water until done. It should be cooked but not mushy. I cooked it in 2 cups of water for around 10 mins/ 2-3 whistles. Pour the kadle bele along with 1 cup of the water it was cooked in, into a kadhai. Keep the flame low. Add the cooked rice to it. If using coconut milk, just pour it to the kadhai with the kadle bele and rice. If using fresh cococut, grind it with water until it is is fine and then add this to the kadhai. Add the grated jaggery and cardamom and cook for 5-10 mins until the jaggery melts and mixes evenly. I suggest adding it by the spoonful until the sweetness is right for you. Add water as required. The consistency is usually on the thicker side. In another small pan, heat the ghee and lightly fry the cashew nuts and raisins until the cashews are light brown and add this to the payasa. If you are vegan, toast the cashews lightly instead of frying in the ghee and add to the payasa.